I’m not going to sit here and argue that Avatar should have won best picture over The Hurt Locker, or really any of the other films nominated that year. It shouldn’t have. To be honest, I don’t particularly think Gravity should win this year, either. Will I be horribly disappointed if Alfonso Cuaron and company go home with some new hardware? Not at all, but it’s far from the best movie of 2013. They should walk away with a cinematography trophy, however, if they don’t that’s a travesty. As an immersive spectacle, as a pure movie-going experience, Gravity is second to none this year, though from a story perspective the film leaves something to be desired. This is where Gravity and Avatar intersect. Each film is, without question, a piece of technical mastery. Both Cuaron and James Cameron place you fully and completely inside these incredible worlds they’ve rendered, which is a feat that few films are able to accomplish. While both of films are big, visually impressive works, when you start to dig into the story and character, things get a little thin. 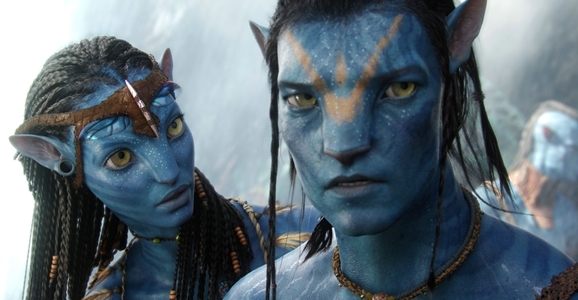 Avatar has the benefit of multiple storylines going on simultaneously, but Gravity is mostly just about one person. Sure, George Clooney pops in now and again to say hey, but outside of the first act, you have Sandra Bullock and very little else else. Given the shortcomings of the script, Bullock does an admirable job — she’s nominated for Best Actress, so some people somewhere think she’s doing something right. 2001 was considered a disaster at the time; the only reason it wasn’t pulled from distribution was because so many people were going to the theater to experience the trippy ending while on LSD. It wasn’t until later that the underlying story started to catch people’s attention (the movie’s story was, like its special effects, ahead of its time). I would not consider Gravity Science Fiction. At best speculative fiction. So just because it takes place in space its considered SF? Really?